Looking to fill your summer camp calendar with some science FUN? Then book one of our High Touch High Tech Sizzlin' Science Summer Camp workshops. All workshops are totally hands-on and totally participatory by each camper. All Sizzlin' Science Summer Camp workshops are geared for the preschool through junior high. Summer Camp workshops last for 30- minutes. High Touch High Tech can accommodate as many 30 -minute workshops as necessary to meet the needs of your camp. Workshops provide take home materials. High Touch High Tech can help your Camp stand out from the competition. With our amazing science programs magnificently designed for grades K-6. Our programs are 100% hands-on and 100% participatory for each child. 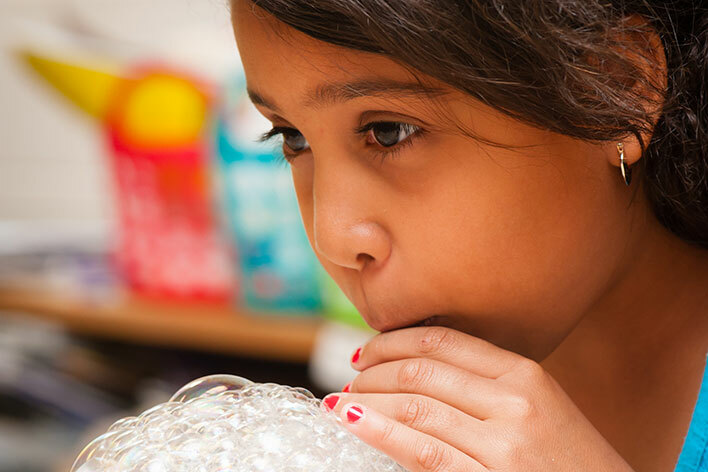 We offer Enrichment, Weekly Themes & A La-Carte Science workshops. These are our most popular! This is a parent paid extra activity that we host at your location during or after camp. All camp groups get a hands-on workshop. $300 - $500/WK *depending on group size. All camp groups get a hands- on workshop. $350 - $550/visit depending on group size. Make a Reservation: Dates fill quickly! There is fun science under the big top. Paint with crystals, make elephant tooth paste and more...it will make you flip! become a paleontologist. Have FUN as we learn about dinosaurs. Dig up fossils to keep! Join us on a wacky adventure through all kinds of cool and crazy chemical reactions. Make colors explode and keep your crazy concoctions! Join the 49ers', the 1849ers' that is! 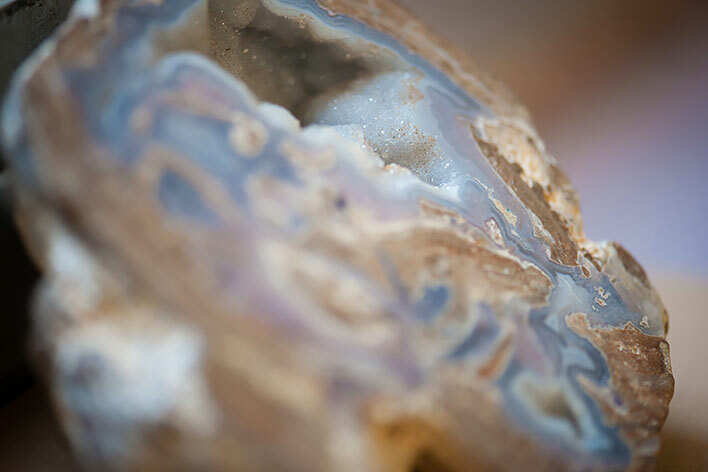 Step back in time to the days of the old prospectors as we search for real gems. Everything you find...you keep! Experience a real launch, from rocket assembly to BLAST OFF! Learn about escape velocity and calculate the altitude of your rocket. Take command and throttle the shuttle yourself. Enjoy astronaut freeze dried ice cream and more. Learn about the Ring of Fire. Explore the awesome world of volcanoes. Have FUN as we erupt them! Discover how cool water really is. 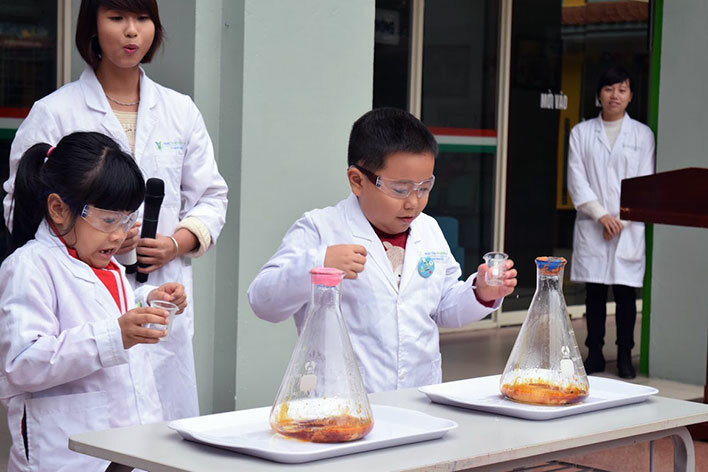 Explore the world of chromatography, capillary action and much more! If you are hungry, this one's for you! Make gummy candies! Learn how yeast pretzels are made as you shape and make a big, beautiful pretzel to take home and bake. Call us today at 630.227.4848 or simply complete our reservation request form on-line to schedule your Sizzlin' Science Summer Camp program with High Touch High Tech. We look forward to visiting your camp this summer!